This is an EXCELLENT guest post on the blog, Write to Done. The 3 Traits of a Writer - and Why You Can't Succeed Without Them by K.M. Weiland. I am here to offer you an answer to your prayers ... assuming you've been praying for years to come up with a miraculous way to sell more books without having to transform yourself into a fish oil salesman. We writers spend a lot of our time alone. Even if we write from coffee shops or similar public places, we seldom sit and chat with others while our fingers dance across the keyboards of our laptops as we crank out our word limits for the day. Many of us are solitary and/or isolated and, once we have a book in the works, suffer serious stress at the prospect of marketing and selling it. Others of us are social but simply hate hawking our wares--which is what marketing sometimes feels like. Joining one or two well-chosen organizations (social, civic, religious, whatever--the type doesn't matter!) 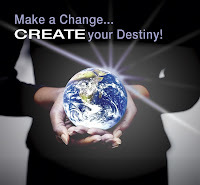 IS the answer to your prayers ... assuming you do what you need to do after you join the organization. Example: When I moved to Missoula, MT from Massachusetts 7 years and 2,700 miles ago, I knew one person: my real estate agent. After a year, I knew the people I worked with, a handful of neighbors, and my real estate agent. Not a great audience for my soon-to-be written, published, and bestselling novel, eh? At that time, I was still [foolishly] keeping my writing and business lives separate, believing my insurance clients and associates would frown on my obsession with writing mostly mystery and romance fiction. As a business owner, I joined the requisite organizations to network for business purposes: Chamber of Commerce, Kiwanis, and the Missoula Businesswomen's Network (MBN). What I didn't expect, however, was that my membership in MBN would surpass my wildest dreams with respect to helping me market myself as a writer and sell books. This does NOT mean that my efforts as a member of the Chamber of Commerce and Kiwanis weren't successful--they were. But my membership in MBN was special because I had an affinity for the organization and its mission, I was able to form personal and long-lasting relationships with a great number of my fellow members, I was able to contribute to the organization by sharing my life and business experiences with other members who actually wanted to hear about them, and I was able to receive numerous benefits from the experiences and advice of other members. The point is, I dove into that organization and over a period of years and served it in several capacities: board member, committee member, committee chair, speaker, mentor to new members, volunteer, and--in general--fan and advocate. Because of my sincere enjoyment as a member, and my participation in activities and events that suited my personality and preferences, I became well-known and well-liked. If you have something to sell, well-known is far more important than well-liked--although I'll be the first one to acknowledge that if people like and trust you, they'll do business with you. If you look back at the italicized words in this blog post, that's all you really need to remember if you want to sell more books by networking ... assuming you're willing to do what it takes. My mother used to say that anything worth having is worth the effort expended to achieve it. As usual, she was right. For more tips about marketing and networking, or any other aspect of honing the business skills we writers need, you can visit my website for free business tips, check out my latest book Taking the Mystery Out of Business: 9 Fundamentals for Professional Success, or visit my blog to read other articles and ask your questions. Author Linda Faulkner appeared on KECI TV Friday morning on the Montana Today Show. 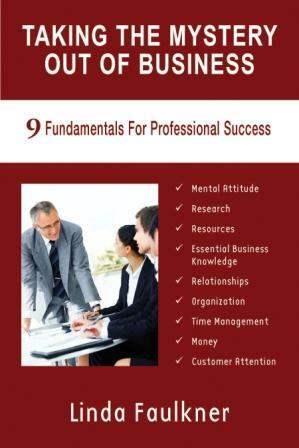 Host Monte Turner interviewed Linda about her newest book, Taking the Mystery Out of Business: 9 Fundamentals for Professional Success, which was released earlier this month. To visit Faulkner's blog for the book, which is the first in a series of business books, visit http://www.takingthemysteryout.blogspot.com/. In addition to all sorts of business advice, you'll be able to access complimentary articles and business tips. Faulkner's non-fiction website is http://www.lindafaulkner.com/ and her mystery website is http://www.lindamfaulkner.com/. Her mystery Second Time Around was a 2010 EPIC Award nominee for Besty Mystery Suspense Fiction. 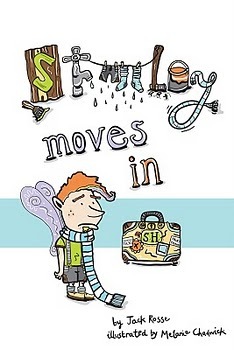 When you think of fairies, the name Stanley doesn't automatically come to mind. Come to think of it, grumpy doesn't come to mind when you think about fairies, either. Wait! Why don't I let Stanley tell his own story? Here's the book trailer, narrated by none other than Stanley himself: http://www.youtube.com/watch?feature=player_embedded&v=Ci7qZhzKA90#! I read every issue of Writer's Digest from cover to cover the very same day I receive it. Each month, the magazine has a theme and even if I'm not interested in a particular month's theme (like when it was about writing memoirs), I never walk away from the issue disappointed. Doesn't matter what you write--fiction, nonfiction, magazine, technical tomes, screenplays--you'll find something helpful, informative, and entertaining. No, I don't own stock in the company, none of my family members work there, and I'm not getting paid to publish this post. I just think it's a terrific resource and worth every penny of the subscription price. MWA members get a discounted subscription rate and, perhaps, other writer's organizations entitle you to one, as well. Feel free to share an writer's resources you can't live without. What's Your Advice About How to Find an Agent? One writer/blog reader indicated to me his issues with finding an agent. It seems he's hearing the refrain, "It's not what I'm looking for." One online site I've heard of is Agent Query. By inserting certain criteria into its search engine, a writer can narrow a search by the genre of fiction or nonfiction he or see writes. The site also contains a great deal of information about literary agents, how to submit to them, how to write a query, and a truckload of other information. Literary Marketplace, both online and in print, also contains similar information. But what about some real, live input from you writers out there who HAVE agents? 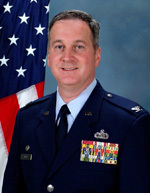 Mike Angley, award-winning author of the Child Finder trilogy, was recently spotlighted on TogetherWeServed.com in U.S. Air Force VOICES. Mike writes thrillers with a paranormal twist. His protagonist is a man whose deep faith guides him through his page-turning perils. The Child Finder Trilogy is a hot thriller series with a light, somewhat edgy spiritual theme…it is not typical Christian fiction. But fans of that genre as well as suspense and thriller enthusiasts thoroughly enjoy it! You can learn more about Mike and his writing by visiting him at http://www.mikeangley.com/. Ghosting, a November 2010 release from St. Martin's Press, is the most gripping novel I've read in a long time. I stayed up until the wee hours of the morning reading it--I simply couldn't put it down. Dr. Jack Scales, a prominent neurosurgeon, convinces his reluctant family to sail to Bermuda aboard his brand new yacht, Slow Dance, for an overdue family holiday. Unfortunately, Jack's confidence as a sailor isn't matched by his skills at seamanship. In addition, his wife, Arlen, harbors great resentment ... and a secret; his twenty year-old son, Ric, battles the Voices he hears and a schizoaffective disorder; and his teenage daughter, Haley, who is a champion swimmer, misses her boyfriend and her swimming. The family copes with emotional struggles, life-threatening storms, lightning strikes, and their rescue of a castaway who ultimately brings unspeakable violence to Slow Dance. As the members of the Scales family fight among themselves--and against Mother Nature and the band of men brought aboard by the castaway--they find the internal strength and fortitude to do whatever it takes to survive. Although I've never been aboard a yacht and was unfamiliar with some of the terms and language used, my lack of knowledge and sailing experience did not in any way detract from my enormous enjoyment of this book. Poyer paints vivid word pictures with his narrative, sucking the reader right into the Slow Dance and the awesome majesty of the open Atlantic Ocean. His characterization is superb: each member of the Scales family is both heroic and flawed; the castaway and his band of unspeakably vile cohorts are realistic and well-motivated; other secondary characters are used perfectly to enhance the story and play counterpoint to each member of the Scales family. One technique Poyer used throughout the book that I found supremely effective was to have Jack Scales view the other characters through his filter as a medical professional. Jack noticed body language and interpreted it within a medical framework to help himself, and the reader, understand the true nature of the other characters: his mentally ill son, his troubled wife, his emotionally volatile teenage; and the sociopathic castaway. I enthusiastically recommend that you add Ghosting to your To Be Read List. I will definitely be picking up some of this other books, which number over a dozen.